WTF? I get to see Louisa. This is a no-brainer. DUH. And off I go. 2. My hair my or may not be blue. 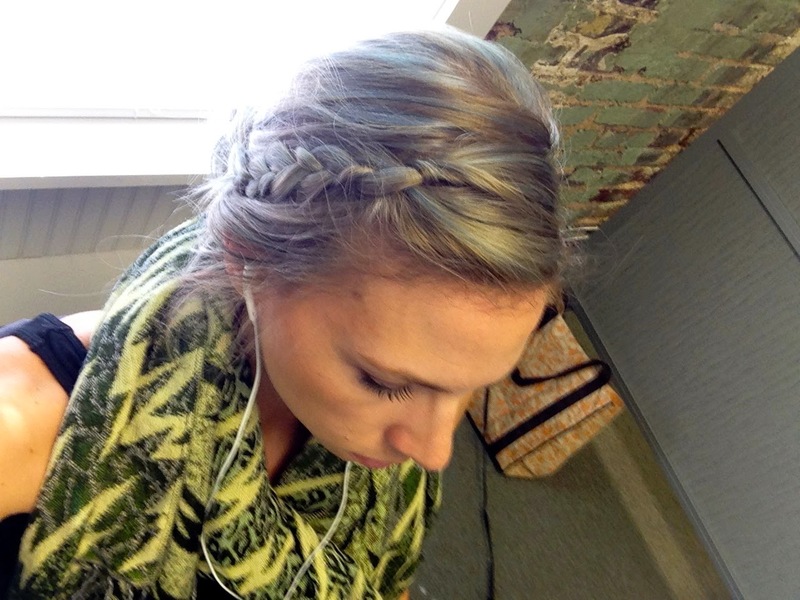 We were going for silver and the result was a silvery blue that will fade in a month or two. But…I actually love it and kinda don’t want it to fade. At first I was terrified that I would look like an Urban Outfitters wannabe. Not cool. It is definitely not “professional” but luckily I have a pretty cool boss and an awesome work environment. Blue hair could even be an asset? It’s possible. I took this nifty selfie at my desk the other day, while sitting on a yoga ball. Don’t be jealous. 3. On that note: I love my job. It’s fun and I feel like I’m learning a lot and even accomplishing things sometimes. It’s endlessly valuable to not hate going to work every day. We spend way too much time there to not spend it well. I am learning to love this palette again. It took me quite a while to commit to spending the dough on this baby and we had a short initial love affair. 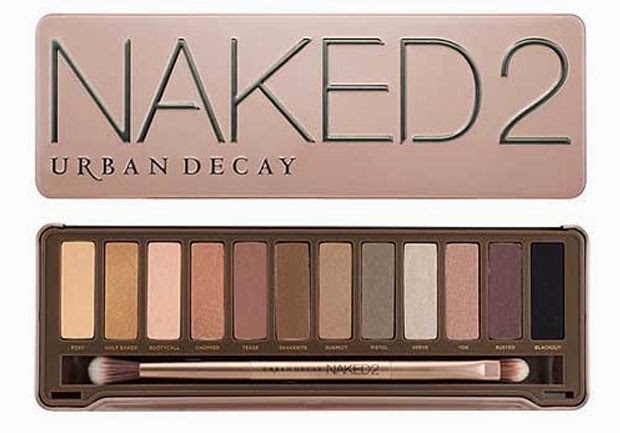 My sis is in love with the original Naked palette, but I was swayed by the snazzy metal packaging (uh…duh!). Sadly, after week number two, I grew tired of the glittery shadows that dropped all over the rest of my face and the palette entered my bottom drawer and has stayed there for a year. 5. On the home front we have made some tiny changes that make a big difference in how it feels. I recently rearranged some furniture and got some new pillows for the bed. Boom, different house. A tiny peek into what’s been happening this week. Your turn! Have you tried the Naked 2 Basics? I'm dying to test it out! Agreed, I have always used Mac paint pots but for some reason the Mayebelline color tattoos work better. Can't explain it!